Forced swimming of intact rats was accompanied by an activation of the hormonal link in sympatho-adrenal system and by a decrease in the level of specific binding of 14C-GABA by adrenal plasma membranes; the former was prevented with the administration of GABAergic preparations (baclofen, GABA-taurine) before stress. Under inhibition of the function of hypothalamo-pituitary-adrenocortical axis following multiple hydrocortisone administration and, in presence of developing metabolic disorders and adrenal secretion of catecholamines, the latter reacted to stress by a decrease in adrenalin, noradrenaline and dopamine secretion without changing the intensity of specific binding of GABA. Administration of GABAergic preparations before stress prevented the development of stress disorders of noradrenaline and dopamine secretion partially or completely, and sodium thiosulphate administration increased acutely specific binding of GABA with adrenal plasma membranes simultaneously preventing the accumulation of adrenal noradrenaline and the decrease in blood DOPA level. Давиденко Л.М. Характеристика некоторых показателей обмена катехоламинов при различнойобеспечености организма кортикостероидами:Автореф. дисс… канд. биол. наук – К., 1973. - 21 c.
Кононенко В.Я. Метаболические эффекты тио-сульфата натрия и их значение в эксперимен-тальной терапии некоторых патологических из- менений сердца и сосудов: Автореф. ... д-ра мед. наук. - К., 1974. - 32 с.
Кононенко В.Я., Шилин В.В., Мишунина Т.М. и др. Влияние гамма-l-аминобутирилтаурина наобмен медиаторов в структурах мозга и уровенькортикостероидов в плазме крови крыс // Доп.НАН України. - 1999. - N 9. - С. 160-164. Мишуніна Т.М., Кононенко В.Я., Мікоша О.С.,Тронько М.Д. Деякі параметри ГАМК-ергічноїсистеми кори надниркових залоз тварин у норміта за умов стимуляції стероїдогенезу // Фізіол.журн. – 1994. - 40, N 3-4. - С. 9-15. Мишуніна Т.М., Кононенко В.Я., Рибаков С.Й.ГАМК-ергічна система кори надниркових залозхворих із синдромом та хворобою Іценка-Кушин-га і щурів за умов гіперкортицизму // Ендок-ринологія. - 2000. - 5, N 1. - C. 16-21. Павлова В.И., Манухин Б.Н., Волина Е.В. и др.Влияние ГАМК на содержание катехоламинов вразличных тканях организма при эмоциональ-но-болевом стрессе – В кн. : Сб. науч. тр. Ин-таобщ. патол. и патол. физиол. - 1981. - N 3. -С. 22-25. Тайц М.Ю. Нейрогуморальные механизмы реф-лекторных реакций.- Минск: Наука и техника,1967. 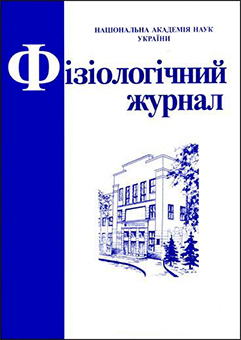 - 157 с.
Busik J., Nakamura M., Abe Y. et al. Effect ofGABA on spontaneous [Ca2+](c) dynamics andelectrical propertis of rat adrenal chromaffin cells// Brain Res. - 1996. - 739, N 1-2. - P. 97-103. 9. Castro E., Oset-Gasque M., Gonzales M. GABAAand GABAB receptors are functionally active inthe regulation of catecholamine secretion by bovinechromaffin cells // J. Neurosci. Res. - 1989. - 23,N 3. - P. 290-296. 10. Franzoni M., Sapei M., Beltramo M., Calas A.Co-localization of multiple neurotransmitters inthe medullary cells of the mouse // Neuroendo-crinology. - 1990. - 52, Suppl. N 1. - P. 51. Frungieri M., Gonzalezcalvar S., Calandra R.Influence of photoinhibition on GABA and glu-tamic acid levels, and on glutamate decarboxylaseactivity in the testis and epidimis of the goldenhamster // Int. J. Androlоgy. - 1996. - 19, N 3. -P. 171-178. Gilon P., Bertrand G., Loubatieres-mariani M. etal. The influence of ?-aminobutyric acid on hor-mone release by the mouse and rat endocrine pan-creas // Endocrinology. - 1991. - 129, N 5. -P. 2521- 2529. Jacobowitz D., Richardson J. Method for the rapiddetermination of norepinephrine, dopamine andserotonine in the same brain region // Pharmacol.Biochem. Bechaviour. - 1979. - 8, N 5. - P. 515- 519. Kaplan L., Lopez Costa J.J., Сarbone S.E. et al.Neurotransmitters in human term placenta: Bio-chemistry and immunochemistry // Placenta. -1989. - 10, N 5. - Р. 502-503. Kataoka Y., Ohara I., Ueki S., Kumakura K.Stimulatory action of ?-aminobutyric acid on cate-cholamine secretion from bovine adrenal chro-maffin cells measured by a real-time monitoringsystem // J. Neurochem. - 1988. - 50, N 6. - P. 1765-1768. Parramon M., Gonzales M., Herrero M., Oset-Gasque M. GABAB receptors increase intracellularcalcium concentration in chromaffin cells throughtwo different pаthways: Their role in catecholаminesecretion // J. Neurosci. Res. - 1995. - 41, N 1. -P. 65-72. 19. 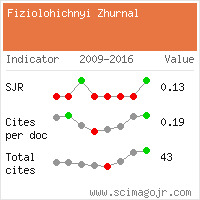 Sangiah S., Borowitz J., Yim G. Actions ofpicrоtoxin and bicuculline on adrenalmedulla // Eur. J. Pharm. - 1974. - 27, N 1. -P. 130-135. 20. Tillakaratne N., Medina-Kauwe L., Gibson R.Gamma-aminobutyric acid (GABA) metabolismin mammalian neural and nonneural tissues //Compar. Biochem. and Physiol. - 1995. - 112, N 2. -P. 247- 263. Tuomisto L., Mannisto P. Neurotransmitter regu-lation of anterior pituitary hormones // Phar-macol. Rev. - 1985. - 37, N 3. - P.249332.